How to win a Nobel Prize follows Professor Barry Marshall and Mary as they travel through time to learn the secrets behind some of the most fascinating and important scientific discoveries. They talk space and time with Albert Einstein, radiation with Marie Curie and also suggest experiments young scientists can do at home. Mary said it was amazing to be a character in a book and hopes to inspire other kids to get into science. “I think the book might help other kids to do their own experiments and get them to learn about other Nobel Prize winners, and how you can win one yourself,” Mary said. Professor Marshall said the book aims to harness the curiosity of young kids and give them a starting point on how to make new discoveries. “With each chapter, there is an experiment that is connected to a previous Nobel Prize winner. You can read about the winner, the research and most importantly what it has led to,” Professor Marshall said. Professor Marshall said he gets a lot of pleasure talking to young people like Mary, particularly because she shares similar interests in science and math. “Mary is at a great age where she is starting to get interested in the more intricate areas of science and starting to think about what she will do when she grows up. This influence will hopefully direct her into an area where she will be really productive,” Professor Marshall said. “When Mary wins her first Nobel Prize people will say how wonderful that is. But, like me, Mary will say the most wonderful thing is making the discovery and knowing you’ve got some new knowledge that will help mankind. 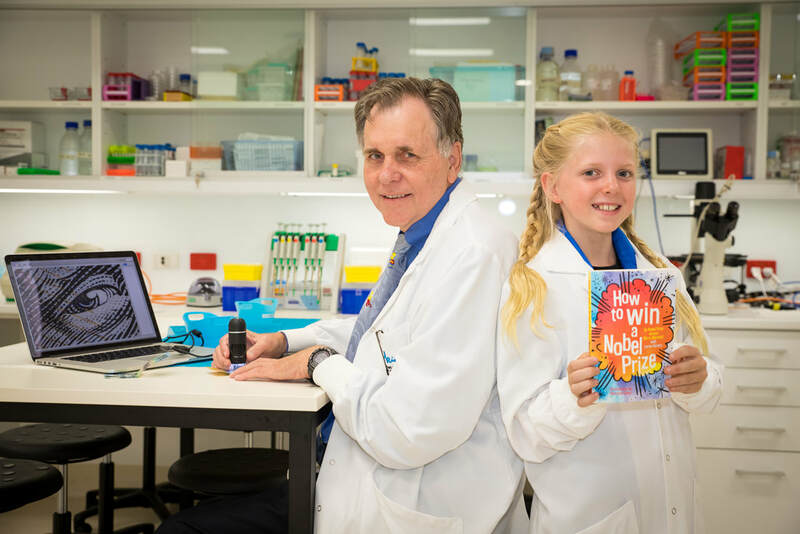 How to win a Nobel Prize is written by Professor Barry Marshall with Lorna Hendry, and illustrations by Bernard Caleo. The book will be available for purchase from from selected stockists across Perth including the Co-op bookshop at The University of Western Australia.